WPT & WSOP Champ talks about sustainability of high buy-in MTTs. Andy doesn’t find time to hit the beach. If he does, he’d better hit that sunscreen pretty hard. If we haven’t said it on F5 yet, Thomas Keeling (aka SrslySirius) is doing a great job of his short and sweet video interviews for Bluff Magazine. Here he talks to one time World Poker Tour Player of the Year Andy Frankenberger about the start of his trip to the 2014 PCA. The conversation is dominated by the fact that while Frankenberger may be good at the pokerz, he pays a little less attention to his own packing needs. You see, he admits to wearing the same pair of underwear every single day. On a more serious note, Frankenberger is one of the few pros who publicly sweats firing off a $25k bullet into a tournament like the PCA High Roller, which kicks off today. He spends a minute or two discussing and doubting the long term sustainability of the big buy-in trend. Finally, lest we give you the wrong idea, while Andy is wearing the same pair of boxer-briefs (we don’t know, just a guess) every day, he’s no monster. He’s washing them on the daily. Here’s a photo of him hanging them up on the fence to dry. The countdown to the Final Table begins. 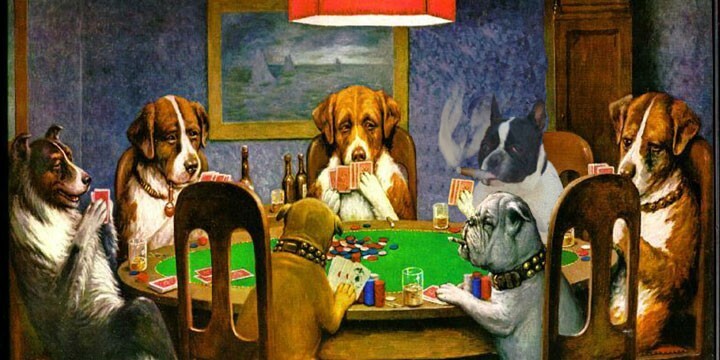 It’s Friday, you ain’t got no job, you ain’t got **** to do…but watch poker. Team PokerStars Pro dragged into prop bet deep waters. Jennifer Robles of PokerNews brings us a clip of the latest PokerStars Q&A session where Johnny Lodden, Ville Wahlbeck and Theo Jorgensen open up about past prop bets. In this clip from the session Theo describes a very real prop bet, initiated at a baby shower, involving him having to discover ways to out run a penguin. Wonder what Lodden thinks about that. The People’s Champ confirms his Aussie Millions plans. Broke or not, he’s taking his talents to the Crown Casino Melbourne. After all these years, I still love playing poker. Looking forward to kicking off the new year with the 2014 Aussie Millions later this month. Prelims start on January 24th and the first flight of the $10k Main Event gets underway on February 2. Players can register for most events online and pay via credit card...including the $100k Super High Roller and the $250,000 Challenge. They really do have the following message on their website. I hereby authorise Crown to debit my card $250,000.00 AUD representing tournament entries. PokerStars panel at the PCA talks money matters. Urban legends get passed down at 2014 PCA. PokerNews' Kristy Arnett was on hand at one of the player panels at the 2014 PCA where Team PokerStars Pros David Williams, Vanessa Selbst and Issac Haxton were on hand to talk a little about their experience with staking. Sharing some personal, and second hand stories, the trio entertained the crowd with their memorable anecdotes and even include a classic urban legend. Check it out. 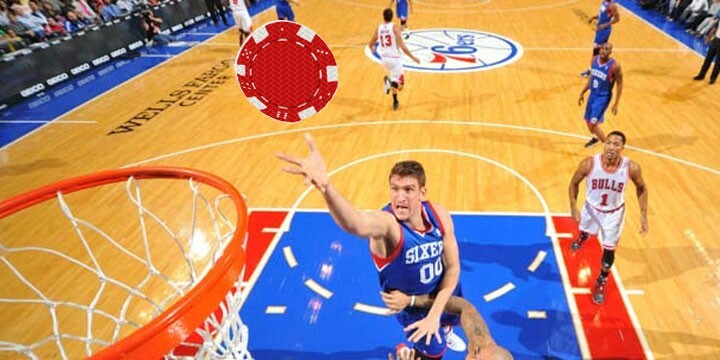 Online poker and professional sports go hand in hand. As reported by the hand that feeds us, pokerfuse, newly legalized and regulated online poker site in New Jersey, partypoker, looks to score big through a new partnership with two professional U.S. sports teams. The New Jersey Devils (NHL) and the Philadelphia 76ers (NBA), both owned by one Joshua Harris, will be announcing a union with partypoker that will have the online site ponying up sponsorship cash in exchange for a barrage of promotions for you, the fan. Of course there’s going to be signage and TV spots, but there could also be a whole host of other goodies: tickets, signed merch, sitting in suites, meet and greets…who knows?! Well, actually, they probably know and they’ll be making a formal announcement about what they know at 4pm EST. Harris is also throwing in the Prudential Center as well, so let’s say an artist that poker players would be interested in seeing comes to town, like say Justin Bieber or Melissa Ethridge, you might be able to score non-sports related prizes as well. So, keep an eye out New Jersey, partypoker is looking to claim more than it’s fair share of the market and is getting aggressive about it. 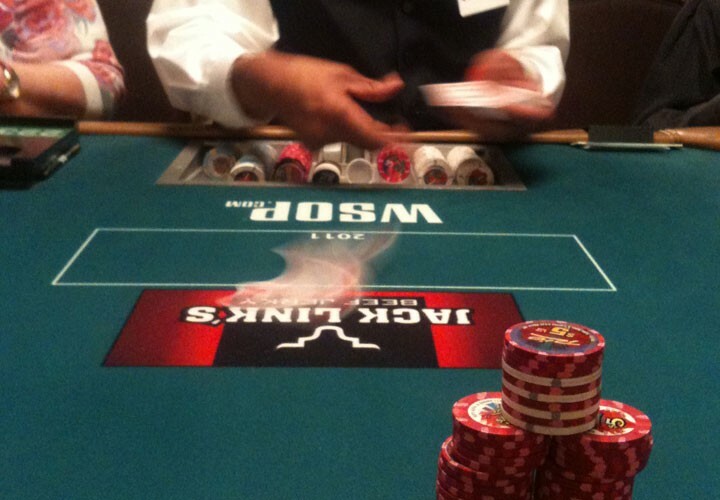 2012 WSOP Runner-up explains the experience value of online poker. Featuring 2012 World Series of Poker runner-up (see what they did there?) Jesse Sylvia, the short hopes to bring some clarity to the masses about just what the hell online poker is. I could get up to 5 or 6 thousand hands a day, 10 or 12 thousand if I really wanted to but that would have been, like, a big day. “Runner Runner” is available now. Dealers wanted for the 2014 WSOP at the Rio in Las Vegas. You know that F5 is looking out for you on the poker employment front! It time for the most prestigious live poker series of the year to stock up on dealers for the 2014 World Series of Poker. The posting, which has been up since last month, details out all the requirements necessary to be berated by players from all over the world in one location. Interested in pitching cards in the biggest poker show on Earth? Check out the listing and sharpen your flop, draw and 7-card game dealing skills. Applications must be submitted by 1/31/14. Go to the Caesars Entertainment Careers Post for the 2014 World Series of Poker. Credit where credit is due: all hail Kevmath for pointing this out. Team PokerStars Pro Daniel Negreanu may have fired 3 bullets at the $100k Super High Roller without getting a return but that’s not keeping him down in 2014. He’s got a plan, that he discussed with Bluff Magazine, and it includes winning 3, count them 3, World Series of Poker bracelets. The #1 poker player of the decade took time to stop and talk with Thomas about setting his goals “scary” high and making his every movement in pursuit of them. He also addresses the rumor, set forth by Dan Bilzerian in a recent interview for Cardplayer Magazine with Brian Pempus that Phil Ivey is broke. Internal investigation of this poker patrol is underway. A Bolingbrook, IL police officer is under investigation for playing online poker while driving in the middle of a snowstorm. The concerned citizens captured the cop on their camera and described the situation to the Bolingbrook Patch. This video was taken 01/04/2014 in Bolingbrook, IL at rush hour while the roads weren’t plowed and it was snowing. I was the one to capture this video in the passenger seat of a moving vehicle. He was driving and trying to play video poker at the same time while road conditions were already treacherous. The officer has been identified from the video and according to Police Lt. Mike Rompa the situation is currently being looked in to. The officer in this video has been identified. Due to the seriousness of this incident, the Bolingbrook Police Department has placed this under an internal investigation. The video is pretty rough. We have our guess of which site it is, but we can’t tell for sure…can you? Edward Snowden would not approve. 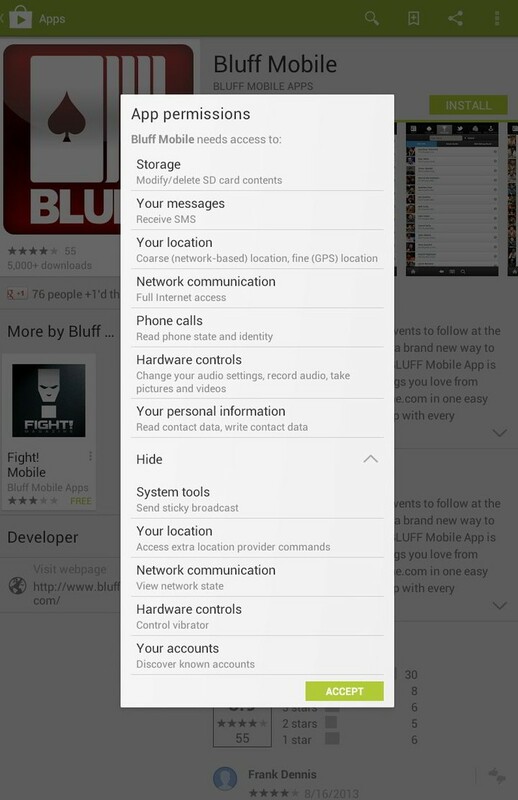 Bluff is either following in the footsteps of the NSA or it employed the ol’ tick-every-box strategy when rolling out their Android app, much to the chagrin of their fans that value their privacy. Shout out to @propoker for the heads up. If you see something fun that you think is F5 material, tweet to us @F5Poker. Health conscious TD looks to drop to 5% body fat. F5 editorial debated on whether to put the NSFW tab on this post. Fact: poker players, in general, are an unhealthy lot. To that end we applaud one of poker’s nice guys, World Series of Poker Tournament Director Jack Effel, in his quest to drop to 5% body fat. Posting his “before” pics to Twitter, it’s clear Effel is in full Wookie mode for this workout. But when it comes to dropping to 5% body fat, back and body hair isn’t the worst of his problems, as highlighted by Ultimate Poker's Terrence Chan. Click that link to see what 5% body fat looks like. We wish Jack all the best in his quest, but even more we cheer on his good health and look forward to hearing him on the mic this summer. Watch some poker on hump day. Bluff Reader’s Choice Award winner opens up about sharing online accounts. One of the great stories to emerge from the 2013 World Series of Poker was that of WSOP Circuit grinder Loni Harwood. In fact, it made such an impression that, with 27% of the votes, she captured the Bluff Magazine Reader’s Choice selection for Breakout Performer. But last month she made headlines of a more controversial nature when it was revealed that she was performing one of the biggest no-no’s of online poker: borrowing accounts/multi-accounting. Read: Loni Harwood 'Borrowing’ Online Accounts? Former Beats By Dre partner now teaming with Bad Beats by Marc Andre Ladouceur. “Is that a raise or a call?” – poker players wearing headphones. 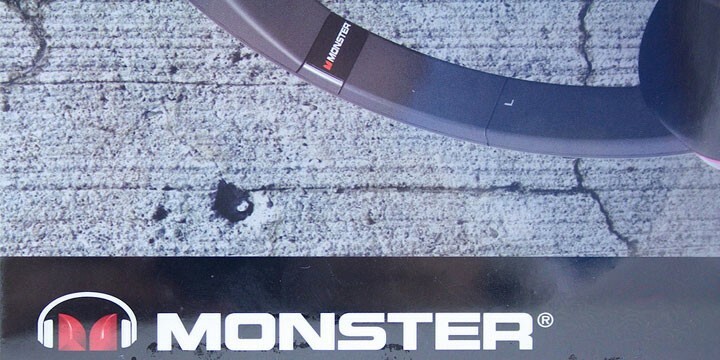 Back in the day Monster Headphones used to roll with Dre, helping launch the popular personal audio line Beats By Dre. Now though, Monster hangs with a new crew: Mike Sexton, Vince Van Patten (V.V.P) and the entire World Poker Tour posse. That’s right, the World Poker Tour picked up a new sponsor and now Monster Headphones are the official headphone of the WPT. So what does this mean for players? Not much. You can check out a pair at each of the stops to see if you want to purchase a set and everyone who makes a WPT final table gets a pair to wear when not on the air. While not necessarily a top 10 brand of headphones yet, Monster has a ton to choose from – in-ear and puffy over-ear styles running up to $250 or so. At Monster, we understand poker players enjoy listening to their favorite tunes at the table since it keeps them focused. In many situations, from bad beats to tough decisions, listening to music keeps them from tilting, and we’re confident the WPT players will appreciate the quality and comfort of Monster headphones. German phenom takes home over $1.6 million. 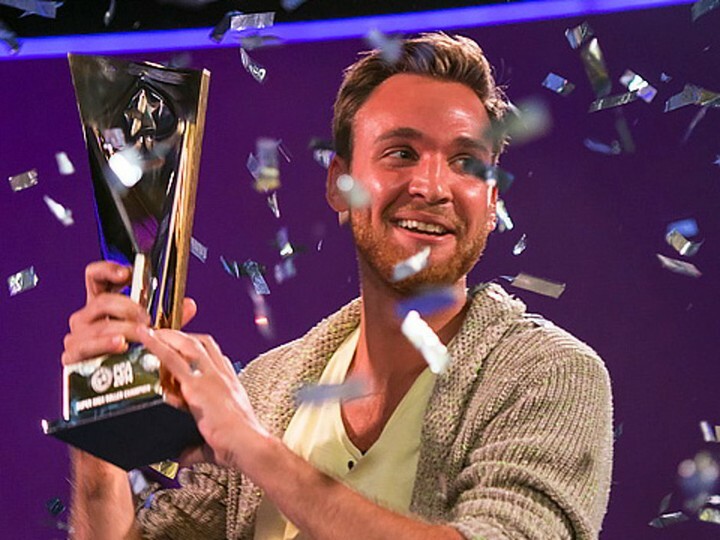 German high roller Fabian Quoss bested a small but extremely talented field of 56 runners (45 unique entries) to capture the 2014 PokerStars Caribbean Adventure $100k High Roller Championship. The over $1.6 million first place prize puts Quoss’ lifetime earnings just shy of $5 million and, according to the PokerStars Blog, the win marks Quoss’ 4th major title which includes a victory in the WPT $15k High Roller in Sept 2012. To earn the right to hoist the trophy would not be an easy task as the final table was stacked with some of the world’s top talent including Ole Schemion (7th), Tony Gregg (6th), Matt Glantz (5th) and more. Antonio Esfandiari, no stranger to playing for the absolute highest stakes, bowed out in 4th place when he lost a race to 2013 PCA High Roller Champion Vanessa Selbst. Selbst, arguably the favorite at the start of the final table, would have to settle for third this year, taking home north of $760k. The last person Quoss would have to take down would be Team Ivey pro, and self-described poker hobbyist, Dan Shak. Shak had found himself in this position before, having made the final table of the PCA Super High Roller in each of the past three years. Much like 2012 when he came runner-up to Victor “Isildur1” Blom, Shak would again have to settle for second as the charitable hedge fund manager walked away with nearly $1.2 million for his efforts. Quoss would have little time to celebrate his first 7-figure victory as he’s slated to play Day 1B of the 2014 PCA Main Event which kicks off at 12:00pm EST. Watching poker with hole cards and commentary make for a perfect Tuesday. Shak looks to finish strong in his 3rd consecutive PCA SHR final table. After a big bubble clash, “amateur” poker hobbyist Dan Shak recounts to Bluff Magazine his wrong read turned chip lead in the 2014 PCA $100k Super High Roller. The live streaming final table, on delay, with hole cards is set to begin at 2:00pm EST. She hopes video technology brings power to the people. She’s got the chip lead at the dinner break in the $100k Super High Roller at the 2014 PCA, but in this short video she talks with Bluff Magazine about how she’s putting her winnings to work. A law school grad and an outspoken advocate of citizens rights, Selbst talks about a new venture where she plans on turning the camera lens on those who patrol the streets in hopes to curb any cases of abuse of power. Guest appearance by Dan Shak and a lost guy in a blue shirt. Legalized online gaming sees a surge in accounts created. 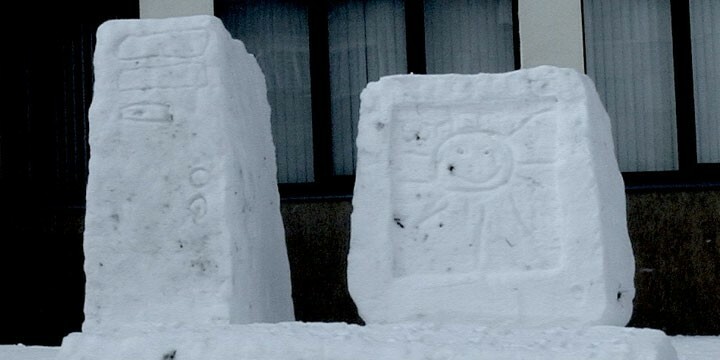 It’s expected to reach 6 degrees in New Jersey tonight. As reported by the bros over at Online Poker Report, it looks like the talk of slow growth in the legalized New Jersey market didn’t account for just how cold it was going to get outside! During the week of December 30- January 5 over 22k new accounts (not necessarily new users) were created so people could check raise from the comfort of their own space heater. In fact, the total number of current accounts are in striking distance of 150k and, as reported by our lord and master over at pokerfuse (PRO version), New Jersey even found itself with 500 simultaneous cash game players. Of course, that’s spread over the top 4 networks, but it’s still a good start for the fledgling market. Team PokerStars Online Pro Issac Haxton has an semi-awkward conversation with PokerNews’ Kristy Arnett while on break during the $100k SHR at the 2014 PCA. An uncomfortable looking Haxton answers a series of simple questions in short bursts in a video that looks like it might be going nowhere. The video then picks up when Kristy and Haxton break down a hand between Ike and the “hyper aggro” Ole Schemion. Clearly, when it comes to poker strategy, Haxton is in his element. Funny up front, informative at the end – check this one out. Out of retirement, SrslySirius raps about the rivalry between Tom “Durrrr” Dwan and Dan “Jungleman” Cates to the tune of Eminem's classic track “Stan.” Complete with references to the Durrrr Challenge, Black Friday, Full Tilt sponsorships, Viffer sidebets and the “Girah” ghosting scandal, SrslySirius doesn’t take a line off in sending up the duo. While he normally prefers to use infectious pop songs where it’s not necessary to know the original in order to get maximum enjoyment, if you are familiar with the original Slim Shady track this one is going to hit a little harder. Either way, it’s another fun video in the SrslySirius discography. Total players and prize pool to be announced. It’s a pretty damn good view from the cheap seats. Watch the live stream right here! Spent your Sunday on the couch watching football (American or otherwise)? No problem! PokerStars’ James Hartigan is happy to recap all the highlights from Day 1 of the 2014 PCA Super High Roller. Play resumes today (Monday) at 12:00pm EST – so hurry up and watch this video before you settle in to your cubicle for 8+ hours of live streaming poker action and pretending to care about work! Bonomo just maxin’ and relaxin’ at the PCA. Bluff Magazine's Thomas Keeling caught up with 28 year old poker phenom Justin Bonomo on break from Day 1 of the PokerStars PCA $100k Super High Roller. In the short video Bonomo talks about what he’s been up to since his runner-up finish at the Seminole Hard Rock Poker Open $10 Million Guarantee (for which he made over $1.1 million) and what it takes to stack someone when you start with 250,000 in chips. Bonomo also talks about speculation that he was the as-of-yet unidentified poker pro who left $300k in the back of a Las Vegas taxicab. Spoiler after the jump. Back from his poker break, Team PokerStars Pro Jason Mercier takes time to talk with PokerNews’ Kristy Arnett while on break from the PokerStars PCA $100k Super High Roller. Mercier also pimps his blog post laying out his goals for 2014, which include winning three poker tournaments and capturing a major title. Most interesting, Mercier opens up about his new business venture in Florida where he’s invested in a food delivery service where you can, like, get Cheesecake Factory and stuff. Check out 10 reasons why you should learn to play poker better. Whether you are new to the game of poker or a grizzled veteran grinder, sometimes it’s easy to lose focus on the reasons “why” we play the game of poker. Veteran poker author Ray Zee pens another column for the Two Plus Two Magazine on his top ten reasons why he thinks one should put in the hours and get good at the game. Being able to use poker as a stepping stone to better things in the future is a great attribute of having the ability to win and last in the poker community for a long period of time. Almost everyone I have ever met has wished for more free time or the luxury to take time off from work at their own pleasure. Poker players are spoiled by the fact that taking time off at will is so easy and costs no direct loss as it does to a worker or business person. This job, which is certainly not a job, allows you to never have to kiss anyone’s you-know-what, or say “yes sir” to someone unless you wanted to. You get to keep your self-respect in life and can hold you head up high. For all 10 of Ray Zee’s reasons, check out the full article on 2+2. Top tier poker pros hope for big bucks, no whammies. The view from Jason Mercier’s seat. Not watching the NFL? Watch the live stream from the Atlantis right here.